We're giving away five (5) digital copies of Lucasfilm's Star Wars: The Last Jedi, and all you have to do is provide your name, email and mailing address... No trivia questions, running through hoops, etc.. How easy is that? We'll select five winners (one copy per household) and send your digital copy via USPS. All entries must be received by Friday, March 23rd at 11:59 PM EST, so act fast. Good luck! Synopsis: Lucasfilm's Star Wars: The Last Jedi, the next action-packed chapter of the Star Wars saga, earned critical acclaim and the #1 spot atop 2017's list of highest-grossing films. 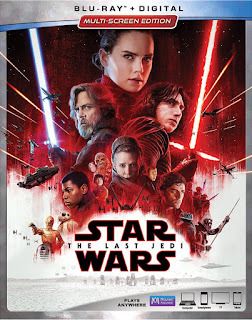 The visually stunning film welcomes the return of original characters, including Luke Skywalker, Princess Leia, Chewbacca, Yoda, R2-D2 and C-3PO and further explores the deepening journey of the saga's new members, Rey, Finn, Poe, and Kylo Ren. Now families can bring home the movie digitally in HD and 4K Ultra HD and via Movies Anywhere on March 13, two weeks before the 4K Ultra HD Blu-ray, and Blu-ray disc on March 27. This release also marks Disney's first title available on 4K Ultra HD Blu-ray disc in both Dolby Vision HDR and Dolby Atmos immersive audio, delivering consumers a transformative viewing experience. 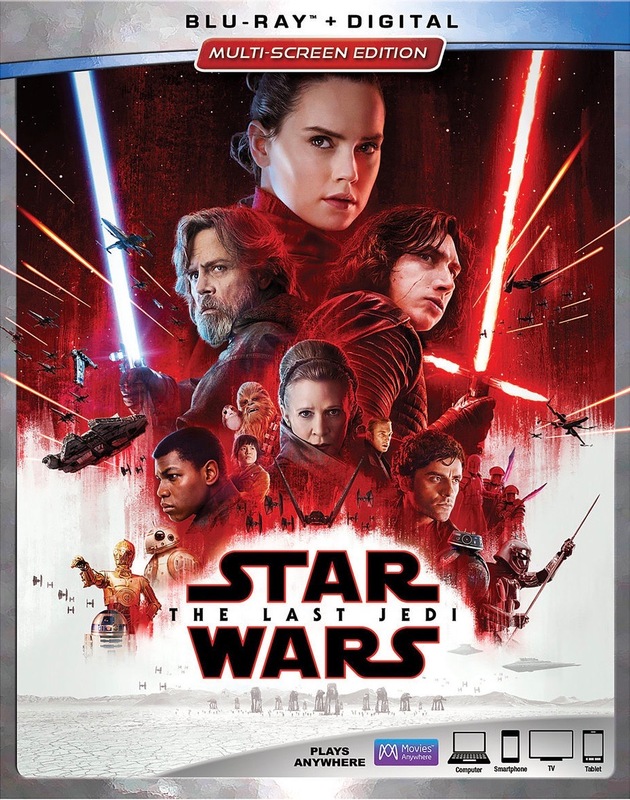 Star Wars: The Last Jedi is available on Digital March 13th and Blu-ray March 27th. Click here to purchase online.